There is nothing more unnerving than the site of a facehugger alien skittering toward you. Those grabbing legs and prehensile tails make them fierce opponents... and great bottle openers! 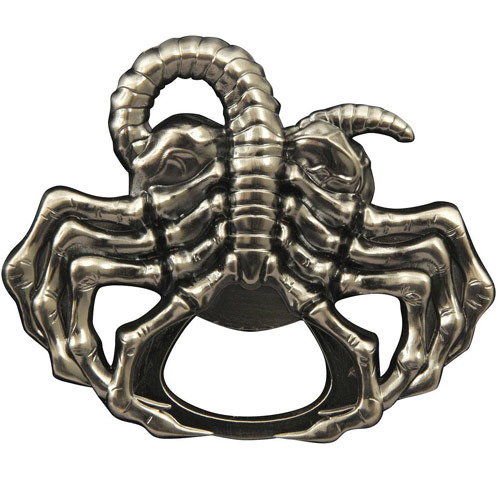 Your next bottled beverage won't stand a chance once you break out your 3-inch facehugger bottle opener! Its solid metal construction will have that bottlecap off in a split second, and the magnets on the back allow it to hang on your refrigerator door, or the nearest bulkhead, waiting for its chance to strike! Comes packaged in a full-color slipcase.